As an independent, West Virginia-based oil and gas exploration and production company, we effect positive change in the Appalachian region. NNE empowers the local, state, and American economies by providing jobs and supplying the cleanest and most affordable domestic energy resource. We recognize the increasingly prominent role natural gas will have in our country’s future, and seek to help advance the Appalachian region as a major player in the energy industry. A current partnership with West Virginia University and the Department of Energy is one such tangible step toward jointly encouraging innovation and improving the readiness of our state’s workforce. The work NNE is stimulating is already part of millions of dollars of revenue being circulated throughout West Virginia and Pennsylvania. Paramount to our mission at NNE is safety. We extract natural gas with the most secure, methodical, and advanced practices available. 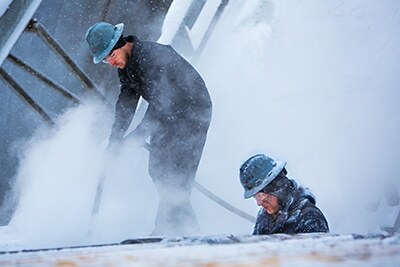 Beyond meticulously following current industry standards, we initiate new conversations about how we can explore and produce natural gas with best practices in the future. Our executive team is comprised of individuals raised in the Appalachian region who have chosen to keep their business and families in this area. Your safety is our safety, and we take personal responsibility for protecting our state and our earth.